Five Chinese flowering crab-apple trees once grew in front of the pavilion. When the trees were in full bloom, the falling crimson petals looked like dancing snowflakes, which inspired the name. After the Chinese flowering crab-apple trees died, Beijing mock oranges (Philadelphus pekinensis) were planted. 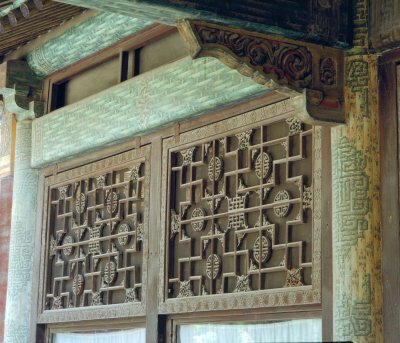 The Kangxi (r. 1662-1722) and Qianlong (r. 1736-1795) Emperors admired flowers and composed poems with their officials here. The scale and floor plan of the Belvedere of Crimson Snow is complemented by the Lodge of Spiritual Cultivation (Yangxing zhai) in the same position on the west side of the garden. 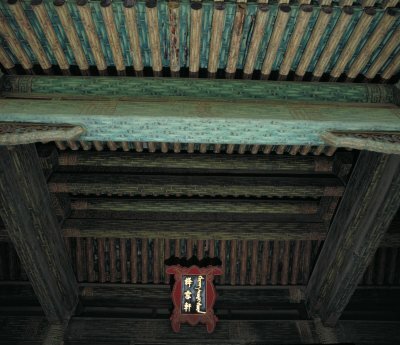 Buildings like these were part of the original layout of the Imperial Garden in 1420.